Brian Smyth Artist is an award-winning graduate of the Crawford College of Art and Design. He has had several successful solo exhibitions in Dublin and London and has participated in and curated many group exhibitions. 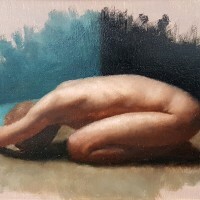 He has completed many private commissions, including a 14-painting Stations of the Cross commission for a church restoration project in his native Co. Cork. 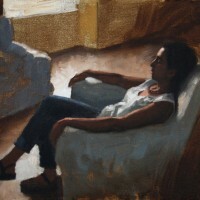 Brian has works in many private and public collections and continues to develop his technique, to exhibit his paintings and to work on portrait commissions. Brian began his studies in The Angel Academy, in Florence, in 2012 and has worked there as an instructor since 2013.